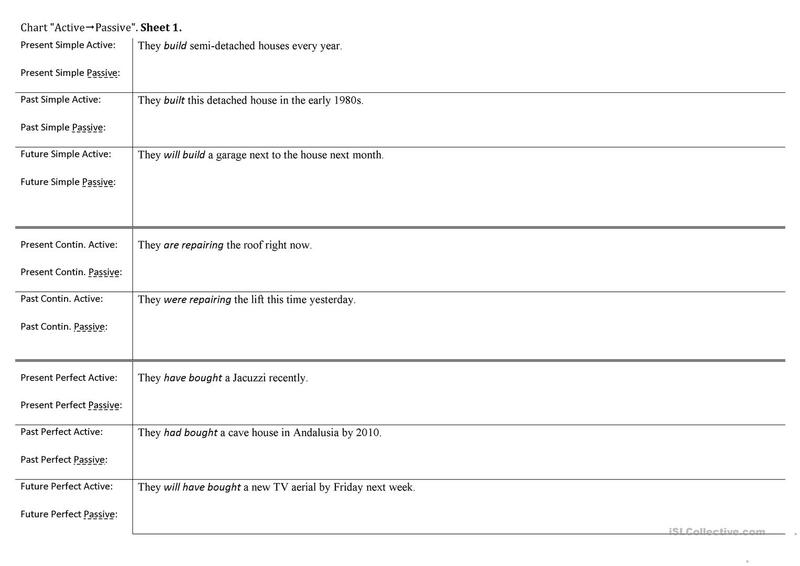 Change active sentences into passive ones. This is a Student's worksheet. (Can be used for self-check as well). You can also use it for testing the knowledge or as hometask. The present downloadable handout is best suited for high school students and adults at Intermediate (B1) level. 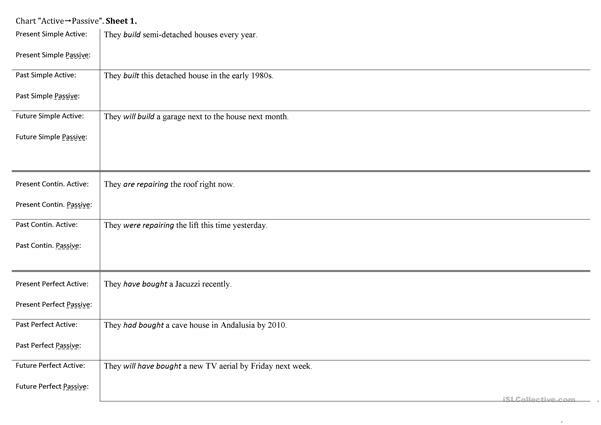 It is valuable for practising Passive voice or active voice in English, and is useful for improving your pupils' Writing skills. It centers around the theme of Home.